The world is full of manufacturers who will build a product for you, but few who will help you SOLVE your problem. At Cassemco, we pride ourselves in being solutions-driven. It sets us apart from other manufacturers – and it gives our customers the comfort of knowing there are professionals in the foam and plastics business that can make life easier by just picking up a phone and asking for help. Daily, we challenge ourselves to be trendsetters in the foam and plastics industry. 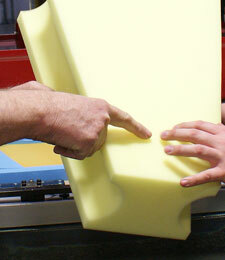 Our product development team will address your challenges, whether it is finding a way to lower the cost of a shipping component, finding a way to package that new part you are needing to ship, or any number of problems you may need to solve with foam or plastic. …and we can package your product for distribution to your warehouse (saving you the inconvenience of packaging at your facility) or private label for direct distribution to your customer anywhere in the world. This is all done from our new, climate-controlled facility, strategically located within a day’s drive of the majority of this country’s population. The Cassemco factory floor is full of machines to handle various manufacturing operations. We can serve your foam and plastic manufacturing needs whether it is profile cutting, die cutting, adhesive application sewing, private label packaging, or several other machining needs. Last but not least, our ISO 9001-2015 certification is a big deal to us. We work hard to demonstrate our dependability, and our ISO certification is a visual demonstration to the outside world that our employees are committed to our core: innovative, responsive, dependable.